The Nigeria power privatization, which was concluded in November 2013 and which birthed six generation companies (four thermal-powered and two hydro) and 11 distribution companies, is yet to resolve the challenges it set out to correct three and half years ago, power watchers, operators and consumers have said. Besides, expectations that the 40 percent equity in the power assets now held by government would become available on the stock market through an initial public offering are still a long shot away, as concerns continues to mount over the current unprofitable state of the assets, Businessamlive has also found. Stakeholders say the government failed in the privatization process by placing political considerations far and above economic, which has masked the objective of the exercise. While the buyers into the successive power companies were sold only 60 percent of equity, government holds the remaining 40 percent for the Nigerian public, including state and local governments. On the boards of the companies sits the Bureau of Public Enterprises representing government’s 40 percent. Investigations by Businessamlive revealed that the BPE representation on the boards of the companies does not entail financial contribution, which has held back major investments into the companies by the buyers. The situation is compounded by the fact that the new owners were limited in mandate; regulation has limited them in the administration of tariffs without recourse to operational costs. “The immediate past government in trying to stave off mass protests from the public and having an eye on the 2015 elections, did not allow the companies to charge cost reflective tariffs hence the poor returns in the electricity industry,” an operator told Businessamlive. “The current tariff charged is far below cost to the operators. All the companies are yet to declare profit, which has held back further investment into the business,” an analyst said. A new approach would need to be quickly adopted to arrest the current disturbing situation, someone close to one of the distribution companies told Businessamlive. “The way to go is to allow them charge cost-reflective tariff and put up the remaining 40 percent equity in the hands of serious shareholders to contribute to the finances of the companies just as was done in the in telecoms sector,” he said. Admitting that the new owners of the assets of the defunct Power Holding Company of Nigeria (PHCN) are equally enmeshed in other challenges such as default in payments and energy theft allowing them some measure of control to run as profitable concerns will help to put the sector right and attract investment into the sector, according to various sources whose views were sourced by Businessamlive for this story. On the state of the 40 percent equity being held by BPE, an official of the agency explained that the delay in issuing an initial public offer (IPO) for the shares is due largely to the current non-profitability of the sector caused by the current tariff regime which discountenance cost to the companies as well as the need to do valuation of the equity since states and local government also have investments in the power assets. “You cannot take a non-profitable company to the market and get good results. So we are waiting for them to break even and become profitable before taking them to the market,” he said. Businessamlive reliably gathered that apart from the operations of the generating and distribution companies, the failure to privatize the link value chain of the business, the transmission operations, is yet another challenge in the electricity market. Transmission is currently a major challenge. 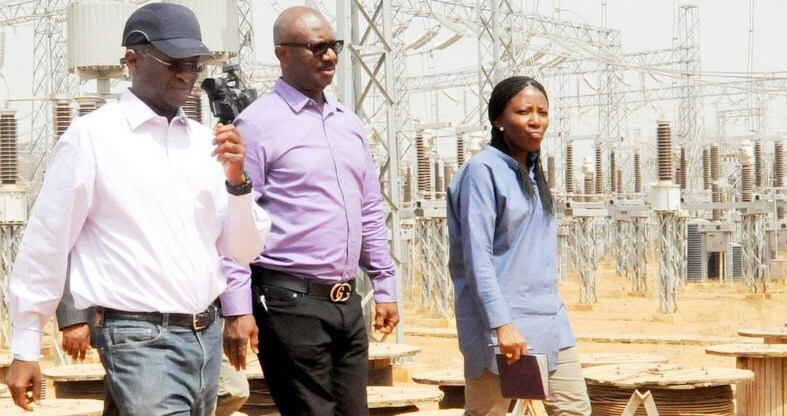 The Transmission Company of Nigeria (TCN) remains a government entity, despite it being managed by Canadian company, Manitoba Hydro International and it has continued to operate obsolete transmission equipment and be held back by bureaucratic processes. In July 2014, the then minister of power announced plans to privatise the transmission sector into three separate business units but details of the proposed privatisation were not finalized before leaving office. Another challenge faced by thermal Gencos, constituting about 70 percent of energy production in the country, is insufficient gas supply. Despite holding the ninth largest gas reserves in the world, domestic gas supply in Nigeria has always been a challenge due to poor gas infrastructure.